Was the right information provided to assist with your decision? 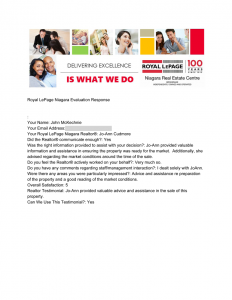 : Jo­Ann provided valuable information and assistance in ensuring the property was ready for the market. Additionally, she advised regarding the market conditions around the time of the sale. Do you feel the Realtor® actively worked on your behalf? : Very much so. Do you have any comments regarding staff/management interaction? : I dealt solely with JoAnn. Were there any areas you were particularly impressed? : Advice and assistance re preparation of the property and a good reading of the market conditions. 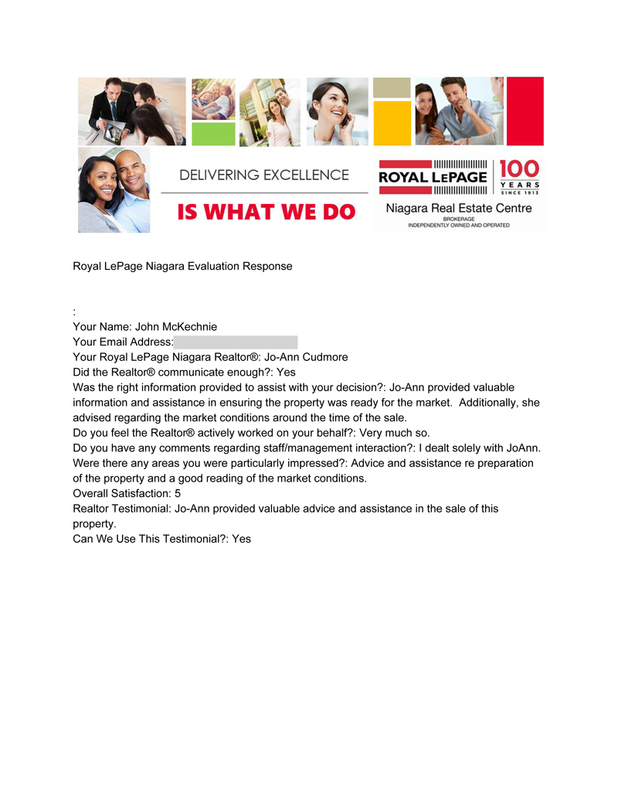 Realtor Testimonial: Jo­Ann provided valuable advice and assistance in the sale of this property.